On this page I'm going to put my dreams and ideas that I wish I could share with Disney. These will be my ideas on how to improve the parks, dining, rides, resorts, and more. Who knows, maybe someone will see the ideas and turn a dream into a reality. My family LOVES the cabins in Fort Wilderness. They offer a full kitchen, separate bedroom, a parking space out front and the awesomeness that is Fort Wilderness. There's only 1 problem.....they can only sleep 6 max. That means a family with more than 4 kids cannot choose to stay in a cabin. I would love to see Disney make a loop with larger cabins that have just enough extra room to meet fire code and to allow for an additional set of bunk beds. Put the bunk beds up against the side walls and the full bed in the middle. Maybe even add a smaller bathroom with just a standing shower in the area to the far right of the room (the area in the current cabins that has the mirror and hair dryer). This would allow for a party size of 8 to stay in the popular cabins. Simply charge a smidgen more. I know many families would be willing to pay a little bit more over having to secure 2 rooms somewhere else. One of the things I hate about our long drives to Disney is stopping at a hotel over night. Now don't get me wrong, I usually love staying in hotels. I just find that there is a lack of hotels on the major routes to Disney around the normal halfway points. Take for instance the route from the midwest down. Every time we stop, no matter where we stay, it is always hard to find a quality hotel that is affordable and can accommodate a family. I've also noticed that just about everyone in the hotel is either coming from or going to Disney. 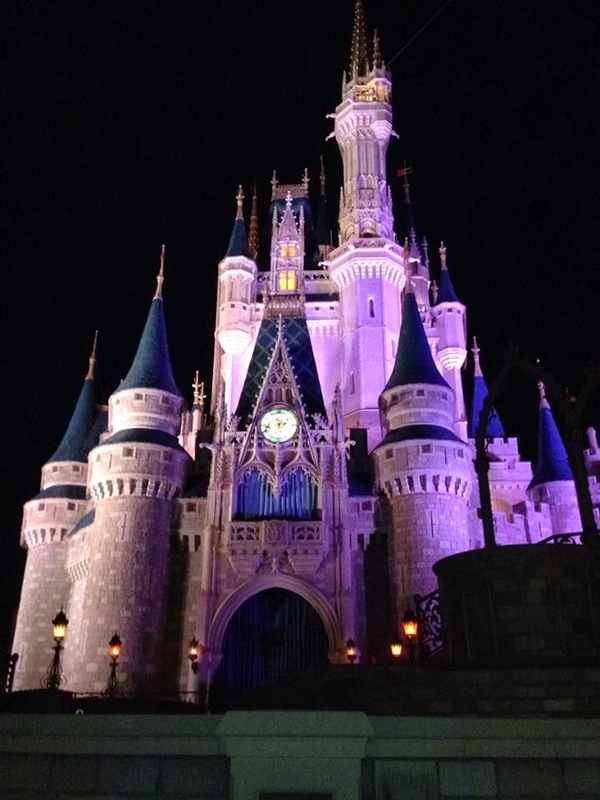 It would seem to reason that if Disney had a handful of hotels strategically placed along major routes down to Florida, they could not only profit from all the families that need to break up the road trip, but they could make those stays as magical as the rest of the trip. Maybe add Mickey waffles to a buffet breakfast and offer items like on Disney buffets. Perhaps a small gift shop with Disney merchandise in each one. They could also pre-arrange for larger families to have adjoining rooms (something none of the hotels I have dealt with will do). They could put one near Marietta, Georgia and another near Savannah Georgia. (Those are the common stopping points for trips from Indiana and Virginia.) Then do polls to see where families that drive stop over night and pick the most popular areas. Cast Members could set it up when guests make their Disney reservations. Offer it to anyone with tickets not just resort guests. 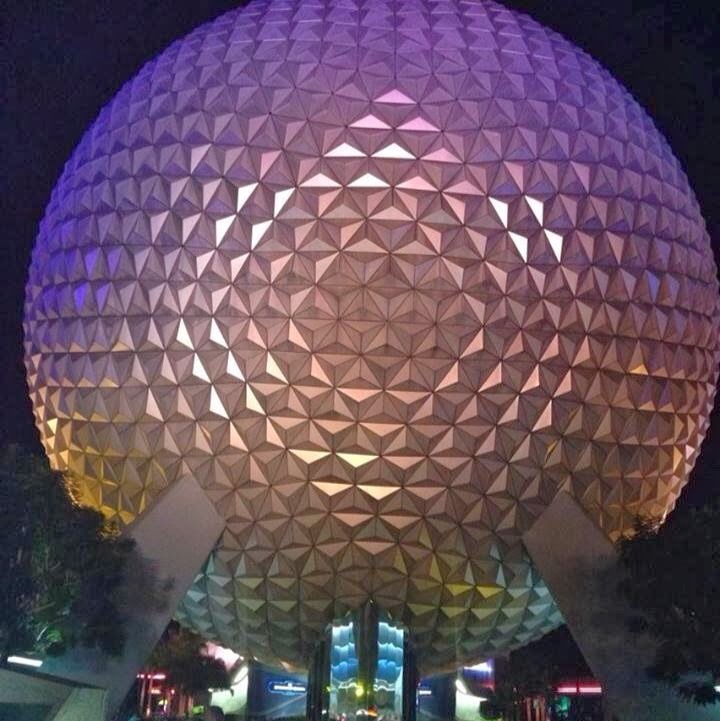 That way those traveling to Disney staying with family or doing other activities could have the option. But definitely limit it to Disney World visitors only. I have ALWAYS wanted to go to Bibbidi Bobbidi Boutique even as an adult to get the princess treatment. Now I know that there are rules in place, so adults can't dress up in the parks (aside from the Mickey's Not So Scary Halloween Parties.) BUT that doesn't mean we couldn't have our hair, nails and make up done. Or even wear a princess tiara (which I do in the parks!) How fun would it be to go and get a princess hair-do and sparkly Disney themed manicure and pedicure? They could even sell Disney bound type outfits (those that don't look like, but are inspired by characters' outfits). Or they could create and sell Boutique exclusive t-shirts and tank tops that you can only get through the boutique. Ok, work with me on this one. Imagine an entire area in Animal Kingdom that is completely inclosed. Inside would look like a Winter Wonderland complete with cooler air conditioned temperatures. The animal trek inside would include animals found in colder climates such as polar bears, penguins, arctic fox, arctic snow leopards, etc. If space and funding is available perhaps a whale tank. Although I think the emphasis should be on breeding and rehabilitation rather than shows and performances. Add a ride similar to the Living with the Land boat ride that takes guests on a educational ride teaching about the effects humans have on these environment and the animals that live in it. Perhaps add a luge ride for the thrill seekers, a 360º theater with beautiful footage of the arctic for people to see it's splendors narrated by Idina Menzel and an area where guest recline on a slowly spinning set of chairs as they look at a domed ceiling displaying Northern Lights and a star gazing planetarium like experience. Add a glacier playground/maze, ice skating rink and your favorite Frozen snowman, Olaf. He could be an ambassador for the arctic world and its inhabitants. There are many opportunities that could be explored, and with it being fully inclosed, weather would not need to be a factor anymore. For food a frozen ice stand and ice cream parlor would go perfect with the theming. Perhaps include a frozen Margarita stand for the 21+ crowd. A quick service option could include items such as fish and chips, sushi, and other fish and seafood related items to showcase the foods we get from the region, but also include non-seafood items for those that cannot have seafood. Update: Add polar bears from Zootopia meet and greet. Just like Fantasyland, Tomorrowland could use an expansion, but where you say. I suggest replacing the Tomorrowland Speedway with a whole new expanded area full of rides, character meet and greets, bathrooms and dining options (more specifically a sit-down meal as there isn't any in the area and there is no need for a quick service with Cosmic Rays right there.) 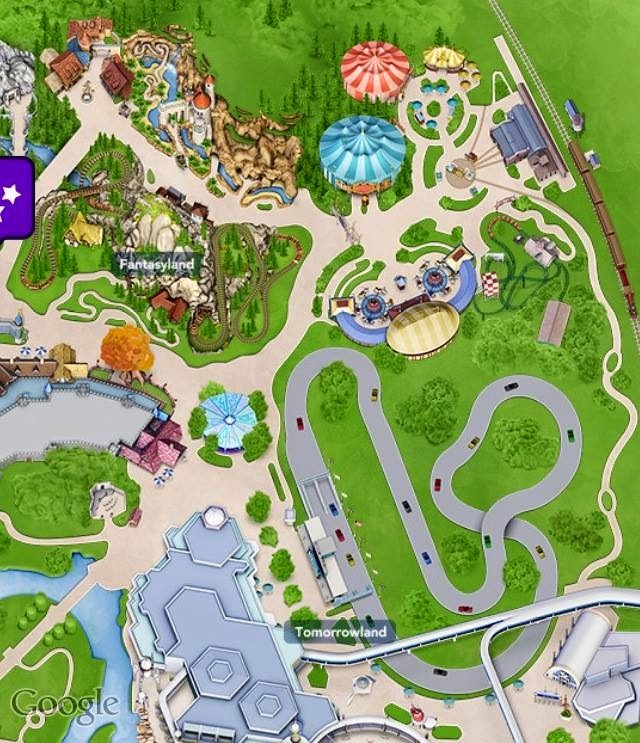 Looking at a map of Magic Kingdom you can easily see that the Speedway takes up more space than the New Fantasyland expansion and most of the pre-existing Fantasyland. Imagine what all imagineers could add to that space. It would give a ton of new fun activities to look forward too AND since there would be more to do, it would distribute guests reducing wait times across the park. If people REALLY want a speedway, consider having it on the roofs of a majority of the new buildings that would be added. Imagineers could easily make it feel as though you are still on ground level. After all, when you walk around Disney you are actually on the roof of a preexisting building below that cast members use. Map of Magic Kingdom to show the size of Tomorrowland Speedway as compared to Fantasyland. Now I know what you're thinking....they all ready have the Monster's Inc. Laugh Floor. I'm sorry but that is a show not a ride. I want a thrill ride (By thrill I mean still ok for young kids to ride, maybe 40 inches tall like most faster rides in the parks.) I want to to be modeled after the chase scene in the first movie when they are riding on doors chasing Randall. Have it designed much like Peter Pan's Flight with a dangling seating system but with seats that have doors on the back. That way other guests will just see a sea of doors just like in the movies. Have it twist and turn and drop thru actual scenes in the Monster's Inc. power plant. Randall could be in various scenes as a voice over the speakers says "quick there's Randall catch him. At the end of the ride guests could exit into Boo's room. The line queue could also be an interactive one where guest play games to figure out how to conserve energy or create alternative energy. Add it to the new Tommorwland expansion I suggested above. Much like the new Aulani Resort in Hawaii, Disney should open a resort in the Caribbean. Possibly add a private island like Castaway Cay for guest to have a quiet day relaxing on the beach. With the popularity of Pirates of the Caribbean, the resort could offer guests pirate themed activities for those wanting that sort of experience. Other guests could just enjoy an amazing Caribbean beach vacation complete with snorkeling, fruity drinks, rich foods and dancing and music with local flare. Pair it with a Disney cruise as a form of transportation to the resort (in addition to flights for those not wanting to cruise) and Disney is sure to profit. Can you imagine the honeymoon packages that could be created? One additional suggestion, Disney, make sure it's on American land so that guests don't need passports. I'll be adding more ideas as they pop in my head. Be sure to check back.